The population especially of the developing world is growing, and some people remain fixated on this. They note that populations of countries like Kenya are growing rapidly, and they say that's a big problem. Yes, it is a problem for Kenya's more than 30 million people, but it's not a burden on the whole world, because Kenyans consume so little. (Their relative per capita rate is 1.) A real problem for the world is that each of us 300 million Americans consumes as much as 32 Kenyans. With 10 times the population, the United States consumes 320 times more resources than Kenya does. People in the third world are aware of this difference in per capita consumption, although most of them couldn't specify that it's by a factor of 32. When they believe their chances of catching up to be hopeless, they sometimes get frustrated and angry, and some become terrorists, or tolerate or support terrorists. Since Sept. 11, 2001, it has become clear that the oceans that once protected the United States no longer do so. There will be more terrorist attacks against us and Europe, and perhaps against Japan and Australia, as long as that factorial difference of 32 in consumption rates persists. 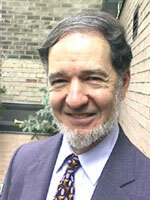 JARED DIAMOND, a professor of geography at the University of California, Los Angeles, is the author of Collapse and Guns, Germs and Steel. [JARED DIAMOND:] To mathematicians, 32 is an interesting number: it's 2 raised to the fifth power, 2 times 2 times 2 times 2 times 2. To economists, 32 is even more special, because it measures the difference in lifestyles between the first world and the developing world. The average rates at which people consume resources like oil and metals, and produce wastes like plastics and greenhouse gases, are about 32 times higher in North America, Western Europe, Japan and Australia than they are in the developing world. That factor of 32 has big consequences. If most of the world's 6.5 billion people were in cold storage and not metabolizing or consuming, they would create no resource problem. What really matters is total world consumption, the sum of all local consumptions, which is the product of local population times the local per capita consumption rate. The estimated one billion people who live in developed countries have a relative per capita consumption rate of 32. Most of the world's other 5.5 billion people constitute the developing world, with relative per capita consumption rates below 32, mostly down toward 1. People who consume little want to enjoy the high-consumption lifestyle. Governments of developing countries make an increase in living standards a primary goal of national policy. And tens of millions of people in the developing world seek the first-world lifestyle on their own, by emigrating, especially to the United States and Western Europe, Japan and Australia. Each such transfer of a person to a high-consumption country raises world consumption rates, even though most immigrants don't succeed immediately in multiplying their consumption by 32. Among the developing countries that are seeking to increase per capita consumption rates at home, China stands out. It has the world's fastest growing economy, and there are 1.3 billion Chinese, four times the United States population. The world is already running out of resources, and it will do so even sooner if China achieves American-level consumption rates. Already, China is competing with us for oil and metals on world markets. Per capita consumption rates in China are still about 11 times below ours, but let's suppose they rise to our level. Let's also make things easy by imagining that nothing else happens to increase world consumption — that is, no other country increases its consumption, all national populations (including China's) remain unchanged and immigration ceases. China's catching up alone would roughly double world consumption rates. Oil consumption would increase by 106 percent, for instance, and world metal consumption by 94 percent. Some optimists claim that we could support a world with nine billion people. But I haven't met anyone crazy enough to claim that we could support 72 billion. Yet we often promise developing countries that if they will only adopt good policies — for example, institute honest government and a free-market economy — they, too, will be able to enjoy a first-world lifestyle. This promise is impossible, a cruel hoax: we are having difficulty supporting a first-world lifestyle even now for only one billion people. We Americans may think of China's growing consumption as a problem. But the Chinese are only reaching for the consumption rate we already have. To tell them not to try would be futile. The only approach that China and other developing countries will accept is to aim to make consumption rates and living standards more equal around the world. But the world doesn't have enough resources to allow for raising China's consumption rates, let alone those of the rest of the world, to our levels. Does this mean we're headed for disaster? Real sacrifice wouldn't be required, however, because living standards are not tightly coupled to consumption rates. Much American consumption is wasteful and contributes little or nothing to quality of life. For example, per capita oil consumption in Western Europe is about half of ours, yet Western Europe's standard of living is higher by any reasonable criterion, including life expectancy, health, infant mortality, access to medical care, financial security after retirement, vacation time, quality of public schools and support for the arts. Ask yourself whether Americans' wasteful use of gasoline contributes positively to any of those measures. Other aspects of our consumption are wasteful, too. Most of the world's fisheries are still operated non-sustainably, and many have already collapsed or fallen to low yields — even though we know how to manage them in such a way as to preserve the environment and the fish supply. If we were to operate all fisheries sustainably, we could extract fish from the oceans at maximum historical rates and carry on indefinitely. The same is true of forests: we already know how to log them sustainably, and if we did so worldwide, we could extract enough timber to meet the world's wood and paper needs. Yet most forests are managed non-sustainably, with decreasing yields. Just as it is certain that within most of our lifetimes we'll be consuming less than we do now, it is also certain that per capita consumption rates in many developing countries will one day be more nearly equal to ours. These are desirable trends, not horrible prospects. In fact, we already know how to encourage the trends; the main thing lacking has been political will.